@TinDogPodcast reviews @Bigfinish This title was released in March 2019. It will be exclusively available to buy from the Big Finish website until May 31st 2019, and on general sale after this date. Scattered through all of space and time, there are many women whose paths have crossed that of the Doctor. Some were once fellow TARDIS travellers, some staunch allies defending the Earth, and one was the Doctor’s wife… From Victorian London, to an intergalactic convention, from the offices of UNIT, to an impossible university library – on the 8th of March, four very different adventures will unfold. 1. Emancipation by Lisa McMullin When River Song crashes a Galactic Heritage convention, posing as the wrong Time Lord, Leela is sent by Gallifrey to investigate. But before the canapés are cold and the champagne becomes warm, they find themselves embroiled in a royal kidnapping. 2. The Big Blue Book by Lizzie Hopley With the Doctor AWOL, Benny and Ace are left to their own devices, going native in a Liverpool university. Benny accepts an invitation she really shouldn’t, and Ace meets a very strange collector. An alien library is about to gain a big, blue book… but where’s the TARDIS? 3. Inside Every Warrior by Gemma Langford The Great Detective, Madame Vastra, aided by her resourceful spouse, Jenny Flint, and loyal valet, Strax, is looking into a series of mysterious break-ins. An eccentric scientist and his put-upon assistant are the latest victims. Evidence mounts, with animal footprints and a trail of destruction. 4. Narcissus by Sarah Grochala When one of their own goes missing, Kate Stewart and the two Osgoods decide to investigate. Narcissus is interested only in the most beautiful people, but as the UNIT operatives are about to discover, its true purpose is something far from desirable. This one doesn't have a great fan reputation. We're here to reassess it for you. After last time where we completely trashed The Man Who Came Back here's a much happier review of The Psychobombs After last time where we completely trashed The Man Who Came Back here’s a much happier review of The Psychobombs. T-shirts can be found here – https://www.redbubble.com/people/ufocast Follow us on twitter @ufo_cast Like us on Facebook Review us on iTunes Email the show – ufocast@yahoo.com To get hold of the series on DVD or blu-ray follow these links. In doing so you’ll be supporting the running costs of the podcast. 2018 television stories, Series 11 (Doctor Who) stories, Stories set in Sheffield, Stories set in 2018 Arachnids in the UK (TV story) Arachnids in the UK Series 11, Episode 4 Doctor: Thirteenth Doctor Companion(s): Graham, Ryan, Yaz Featuring: Grace Main enemy: Giant spiders, Robertson Main setting: Sheffield, 2018 Key crew Writer: Chris Chibnall Director: Sallie Aprahamian Producer: Alex Mercer Release details Story number: 279 Premiere broadcast: 28 October 2018 Premiere network: BBC One Format: 1x50 minute episode Official trailer Arachnids in the UK was the fourth episode in the eleventh series of Doctor Who produced by BBC Wales. The Thirteenth Doctor finally returns Graham, Ryan and Yasmin to Sheffield, just half an hour after they had left. Notably, these new companions actively choose to travel with her at the end of this episode. Synopsis edit The Thirteenth Doctor finally manages to bring her friends home, but with more time alone on the horizon, she soon discovers that something unnatural has happened to the eight-legged population of Sheffield. Why have they converged on an unopened hotel, and why is there a man going around like he owns the place? 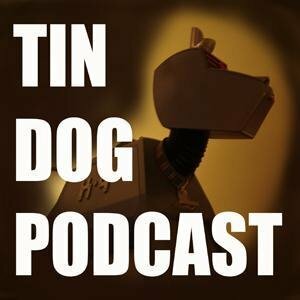 @TinDogPodcast 800 reviews the superb TV #DoctorWho #Rosa 2018 television stories, Series 11 (Doctor Who) stories, Stories set in the United States, Rosa (TV story) Rosa Series 11, Episode 3 Doctor: Thirteenth Doctor Companion(s): Graham, Ryan, Yaz Featuring: Rosa Parks Main enemy: Krasko Main setting: Montgomery, Wed 30 Nov-Thurs 1 Dec 1955 Key crew Writer: Malorie Blackman, Chris Chibnall Director: Mark Tonderai Producer: Alex Mercer, Adam Friedlander Release details Story number: 278 Premiere broadcast: 21 October 2018 Premiere network: BBC One Format: 1x50 minute episode Official trailer Doctor Who television stories - Previous The Ghost Monument You may be looking for Rose (TV story). Rosa was the third episode of the eleventh series of Doctor Who produced by BBC Wales. Set just prior to Rosa Parks' arrest for refusing to surrender her seat to a white passenger, this story dealt with heavy themes, and included blatant depictions of racism, mainly directed at the Doctor's companions Ryan and Yaz. Attempting to return home to Sheffield, the TARDIS instead drops the Thirteenth Doctor and friends in 1955 Alabama, where somebody is planning on meddling with time. Meeting seamstress Rosa Parks, the Doctor and her friends must work together to correct the flow of time and keep events in order before things go horribly wrong. Plot It is 1943, Alabama in America. Rosa Parks is boarding a bus on her way home from work. She pays the fee but the bus driver demands she go around and get on the bus by the side entrance, given "coloured" people are forced to sit at the back while whites sit at the front. She refuses, leading the bus driver to force her from the bus and drive off without her. By 1955, the Doctor lands her TARDIS in Alabama, remarking to Graham, Ryan and Yaz that their location is not Sheffield as planned for the ninth time. Graham corrects her it was the fourteenth attempt. in: TV stubs, Series 11 (Doctor Who) stories The Ghost Monument (TV story) EDIT SHARE The Ghost Monument Series 11, Episode 2 Doctor: Thirteenth Doctor Companion(s): Graham, Ryan, Yaz Main enemy: Ilin, Remnants, SniperBots Main setting: Desolation Key crew Writer: Chris Chibnall Director: Mark Tonderai Producer: Alex Mercer, Adam Friedlander Release details Story number: 277 Premiere broadcast: 14 October 2018 Premiere network: BBC One Format: 1x50 minute episode Official trailer Behind the scenes video Doctor Who television stories - Previous The Woman Who Fell to Earth The Ghost Monument was the second episode of series 11 of Doctor Who. This episode marked the debut of the new title sequence due to it being left out of the preceeding episode. The sequence has also done away with the TARDIS and the Doctor's face/eyes. Narratively, it continued exploring the warrior race Stenza which appeared in the previous episode, as well as introducing an element of the Doctor's past by mentioning "The Timeless Child". Contents [show] Synopsis edit Stranded on an alien planet infamously called Desolation, can the Doctor find her way to the TARDIS as she promised her new friends? Will her newest company be of any help when they're also racing against each other? And what exactly is "the Ghost Monument"? @TinDogPodcast reviews TV #DoctorWho #TheWomanWhoFellToEarth 277 - "The Woman Who Fell to Earth"277 - "The Woman Who Fell to Earth"Doctor Who episodeDoctor Who Series 11 Episode 1 The Woman Who Fell to Earth.jpgPromotional image for the episode, displaying Yasmin (Gill), Ryan (Cole), The Doctor (Whittaker), Graham (Walsh) and Grace (Clarke)CastDoctorJodie Whittaker (Thirteenth Doctor)CompanionsBradley Walsh (Graham O'Brien)Tosin Cole (Ryan Sinclair)Mandip Gill (Yasmin Khan)OthersSharon D. Clarke - GraceSamuel Oatley - Tim ShawJohnny Dixon - KarlAmit Shah - RahulAsha Kingsley - SoniaJanine Mellor - JaneyAsif Khan - Ramesh SunderJames Thackeray - AndyPhilip Abiodun - DeanStephen MacKenna - DennisEveral A Walsh - GabrielProductionDirected by Jamie ChildsWritten by Chris ChibnallScript editor Nina MetivierProduced by Nikki WilsonExecutive producer(s) Chris ChibnallMatt StrevensSam HoyleIncidental music composer Segun AkinolaSeries Series 11Length 63 minutesOriginally broadcast 7 October 2018Chronology- Preceded by Followed by -"Twice Upon a Time" --Doctor Who episodes (1963-1989)Doctor Who episodes (2005-present)"The Woman Who Fell to Earth" is the first episode of the eleventh series of the British science fiction television programme Doctor Who. It is written by new head writer and executive producer Chris Chibnall, directed by Jamie Childs, and was first broadcast on BBC One on 7 October 2018. It is the first episode to star Jodie Whittaker in her first full appearance as Thirteenth Doctor, and introduced her new companions - Bradley Walsh as Graham O'Brien, Tosin Cole as Ryan Sinclair, and Mandip Gill as Yasmin Khan. The episode also guest stars Sharon D. Clarke, Johnny Dixon and Samuel Oatley. The story focuses on a group of people who come across a new alien threat together within Sheffield, and find themselves banding together with the recently regenerated Doctor, who has been separated from the TARDIS since the events of "Twice Upon a Time". As the group seek to understand the threat, they find themselves in danger as well, and discover that the recently arrived aliens are planning a hunt upon a single human, leading the Doctor to co-ordinate an attempt to prevent this happening and save the group from danger. This episode is the first to be led by Chibnall, alongside executive producers Matt Strevens and Sam Hoyle, after Steven Moffat and Brian Minchin stepped down at the conclusion of the tenth series, while marking the third production era of the revived series, following Russell T. Davies' run from 2005-2010, and Moffat's from 2010-2017. This episode marked a change in the programme's broadcasting schedule, with both it and subsequent episodes being broadcast regularly on Sundays, instead of Saturdays as had been done since Doctor Who was revived, while the episode premiered without the traditional opening credits, as had occurred before with "The Day of the Doctor" (2013) and "Sleep No More" (2015). Since its first broadcast in the UK, the episode has received positive reviews from critics, as well as an overnight rating of 8.20 million viewers, the highest since "The Time of the Doctor" (2013). Contents1 Plot2 Production2.1 Development2.2 Casting2.3 Filming2.4 Promotion3 Broadcast and reception3.1 Television3.2 Cinemas3.3 Ratings3.4 Critical reception4 References5 External linksPlotRyan, a dyspraxic young man, struggles to ride a bike and throws it off the hill in frustration. Searching for it, he touches some strange lights, causing a blue pod to appear. Concerned, Ryan calls the police, receiving help from PC Yasmin Khan, an old school friend. Meanwhile, Ryan's grandmother, Grace, her husband, Graham, and another passenger, Karl, find themselves trapped onboard their train with a floating orb of writhing tentacles and electricity. They call Ryan, and he and Yasmin head for the train, arriving just as the Doctor suddenly falls through the carriage ceiling. The orb departs after hitting everyone with an energy bolt. Karl leaves, but the others follow the Doctor, who suffers from post-regeneration amnesia. She discovers the orb implanted DNA destroying bombs into each of them, liable to explode at any time. Finding the pod has disappeared, they track it down to a warehouse. They learn that the warehouse belonged to Rahul, a local man who took the pod he connected with the disappearance of his sister but was killed when a second alien emerged from it. The Doctor, missing her sonic screwdriver, constructs another from spare parts. The group intercepts the orb creature, revealed to be a mass of biological data-gathering coils. The second alien suddenly appears, revealing himself as Tzim-Sha, a Stenza warrior hunting humans for sport, Rahul's sister the target of a previous hunt. A furious Doctor demands Tzim-Sha leave the planet, but he collects the data of his target, Karl, from the coils and teleports away. The group track down Karl, a crane operator, to a construction yard. The Doctor, Ryan, and Yasmin climb another crane to save Karl before Tzim-Sha can reach him. Tzim-Sha captures Karl, but the Doctor, recalling her identity, orders Tzim-Sha to leave him, or face losing the pod's recall device and being stranded on Earth. Tzim-Sha detonates the DNA bombs, but the Doctor reveals that she transferred the bombs into the Coils, unwittingly self-implanted by Tzim-Sha when he downloaded the data. The Doctor thrusts the recall device at Tzim-Sha and he transports himself away. Grace successfully destroys the coils but is fatally injured after falling from the crane. Following Grace's funeral, the Doctor tells the group she must find the TARDIS. After building a teleport, she bids the group goodbye, but inadvertently brings them with her into deep space. ProductionDevelopmentIt was announced in January 2016 that the tenth series would be Moffat's final series as executive producer and head writer, after seven years as showrunner, for which he was replaced in the role by Chris Chibnall in 2018. Matt Strevens serves as executive producer alongside Chibnall, as well as Sam Hoyle. A new logo was unveiled at the BBC Worldwide showcase on 20 February 2018. This logo was designed by the creative agency Little Hawk, who also created a stylized insignia of the word "who" enclosed in a circle with an intersecting line. Murray Gold announced in February 2018 that he would step down as the programme's composer, having served as the musical director since 2005, and that he would not be composing the music for the eleventh series. On 26 June 2018, producer Chris Chibnall announced that the musical score for the eleventh series would be provided by Royal Birmingham Conservatoire alumnus Segun Akinola. Casting Whittaker at the 2018 San Diego Comic-Con, where she promoted her first full series.The episode introduces Jodie Whittaker as the Thirteenth Doctor. Her predecessor Peter Capaldi departed from his role as the Twelfth Doctor after the tenth series, having played the role for three series. His final appearance was in the 2017 Christmas special, "Twice Upon a Time". Moffat stated in February 2017 that Chibnall tried to persuade the actor to continue into the eleventh series, but despite this, Capaldi still decided to depart. The search for the actor to portray the Thirteenth Doctor, led by Chibnall, began later in 2017, after he completed work on the third series of the ITV series Broadchurch, for which he is also the head writer and executive producer. Chibnall had the final say on the actor, although the decision also involved Charlotte Moore and Piers Wenger, the director of content and head of drama for the BBC respectively. Media reports and bookmakers speculated as to who would replace Capaldi as the Thirteenth Doctor, with Ben Whishaw and Kris Marshall among the most popular predictions. On 16 July 2017, it was announced after the 2017 Wimbledon Championships men's finals that Whittaker would portray the thirteenth incarnation of the Doctor. The episode also introduces a new set of companions, including Bradley Walsh, Tosin Cole, and Mandip Gill as Graham O'Brien, Ryan Sinclair and Yasmin Khan, respectively. Actress Sharon D. Clarke also appears as Ryan's grandmother and Graham's wife, Grace. The episode also guest stars Johnny Dixon and Samuel Oatley. FilmingJamie Childs directed the first and seventh episode of the series in the opening production block, having directed Whittaker's introduction video as the Thirteenth Doctor. Pre-production for the eleventh series began in late October 2017. After filming for the series was expected to begin in late 2017, it officially began with the first episode in November 2017. The eleventh series was shot using Cooke and Angenieux anamorphic lenses for the first time in the series' history, a creative decision made in order to make the show look more cinematic. PromotionThe first teaser for the series was released during the final of the 2018 FIFA World Cup on 15 July 2018, almost exactly a year after the announcement of Whittaker as the Thirteenth Doctor. Whittaker, Gill, Cole, Chibnall and Strevens promoted the show with a panel at the San Diego Comic-Con on 19 July 2018, where the first trailer was released. Broadcast and receptionProfessional ratingsAggregate scoresSource RatingRotten Tomatoes (Average Score) 8.19Rotten Tomatoes (Tomatometer) 91%Review scoresSource RatingDaily Mirror 4/5 starsIGN 8.7IndieWire B-New York Magazine 4/5 starsRadio Times 3/5 starsThe A.V. Club BThe Telegraph 4/5 starsThe Guardian 4/5 starsThe Independent 4/5 starsTelevision"The Woman Who Fell to Earth", the first episode of the eleventh series, runs for a total of 63 minutes, while the remaining episodes will run for an average of 50 minutes each, after the episode count dropped from twelve to ten for this series. The episode was simulcast in the United States on BBC America. It breaks with previous practice in not using any opening credits, similar to "The Day of the Doctor" (2013) and "Sleep No More" (2015). CinemasThe premiere of the new series was held at Light Cinema in Sheffield on 24 September 2018, as part of a red carpet event for the episode and eleventh series. "The Woman Who Fell to Earth" will be released in select Australian cinemas on 8 October 2018, and in the United States from 10-11 October. RatingsThe episode was watched by 8.20 million viewers overnight, making it the highest overnight viewership since "The Time of the Doctor" (2013), which received 8.30 million overnight viewers. The episode had an audience share of 40.1% also. It also marked the highest overnight figure for a series premiere since "Partners in Crime" (2008), the opening episode of the fourth series, achieved 8.40 million viewers. Critical receptionThe episode currently holds a score of 91% on Rotten Tomatoes, with an average score of 8.19. The site's consensus reads "Jodie Whittaker easily embodies the best of the titular time traveler in "The Woman Who Fell To Earth" and proves that change can be a very, very good thing."